Weed Lovers are often mistaken for addicts. But do you know that Marijuana never causes addiction? There are a lot of facts that you might not know about Marijuana. 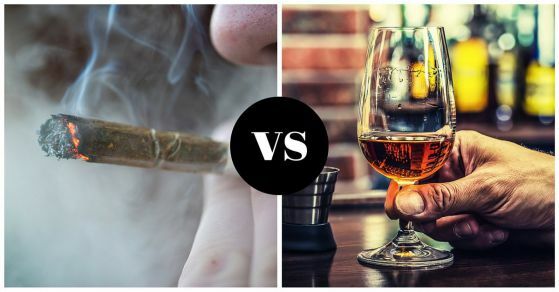 So, today we are listing some scientifically proven facts that show that Marijuana is a lot healthier than consuming Alcohol. 1.On one hand, where Alcohol doesn’t help much in treating diseases, Marijuana is used for the treatment of cancer and glaucoma. 2. Alcohol can kill you if you consume an excessive amount in short time but it can not happen in weed’s case. 3. 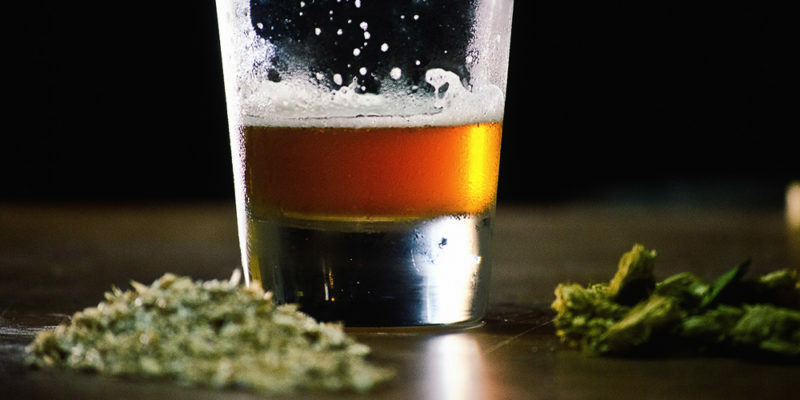 Alcohol can slow your process of building a muscular body while Marijuana causes no such thing. 4. You may have heard many stories of people blacking out after drinking too much but they do not black out after consuming weed. 5. The hangover of Alcohol can last up to a day but this isn’t true in the case of weed. 6. If you are not taking Marijuana in the form of the cigarette then you don’t have to worry about your liver but attacking liver is the main target of alcohol. 7. Alcohol can make people go crazy, they act in a violent way which is also abusive but marijuana causes no such thing. 8. As mentioned earlier, weed is used in the treatments of some types of cancer but drinking is the reason behind some types of cancer. 9. Studies show that every 96 minutes, 1 person in India dies due to drinking too much but there are no reported cases in the case of marijuana. 10. Drinking too much harms your blood cells on serious levels but weed will never be enough to harm your blood cells. 11. People often throw up after drinking too much but you might never have heard any cases of people vomiting due to weed consumption. 12. Alcohol could be the reason behind dehydration but weed just gives you cotton mouth and nothing much. Next article Here’s The Full Guide To Check Your Cbse12thResults2018. Here’s The Full Guide To Check Your Cbse12thResults2018.